ATLANTA (CBS ATLANTA) - In January, it will be out with the old and in with the new, more energy-efficient light bulbs. New federal regulations will begin phasing out standard incandescent bulbs, but already, there are several alternatives cropping up. Consumer Reports tested one of the newest options - LED. LED bulbs are very expensive - anywhere from $17 for a table lamp bulb to more than $60 for a floodlight. "Even with an LED's high cost, you can still save $100 or more over its life compared to a standard incandescent," said Consumer Reports' Bob Markovich. 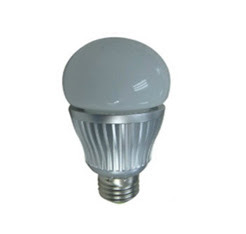 LEDs are also similar in color to incandescent bulbs, but they last much longer. One light Consumer Reports tested had been burning continuously for nearly 9,000 hours. Incandescent bulbs only last for 1,000 to 2,000 hours. "LEDs have some distinct advantages over CFLs. They reach full brightness instantly, and some are also better at dimming," Markovich said. But, not all LEDs are good at distributing light, including the Sylvania 60-watt Ultra LED, which testers said shone most of its light up towards the ceiling. Far better for table or floor lamps, was the $40 Philips Ambient. It's the equivalent of a 60-watt incandescent bulb and claims to last almost 23 years. And for outdoor floodlights, you may try the EcoSmart Par 38 for $45. It promises to last even longer. If you replace an incandescent bulb with an LED, Consumer Reports says it will take four to 10 years before you recoup the costs and start saving. CFLs cost much less and will save you money much sooner. Copyright 2011 WGCL-TV. All rights reserved.